Have you ever felt the chasm of where you are and where you want to be/know you should be/feel God has called you to be? Maybe it’s in an area of personal or spiritual growth. Maybe it’s in your career. Maybe it’s in your marriage, parenting, friendships. Or possibly it’s a call to write, speak or lead others. I know that chasm all to well. It can be lonely, frustrating, discouraging, and exhausting. I’ve cried out to God for help (and whined and cried to my husband and friends). One of the ways He’s begun to connect the dots of where I am and where I know I need to be — in my writing and speaking and as a woman of God — has been through the Speak Up Conference. I’ve written about how I went two years ago, not knowing anyone, and God confirmed that even though I wasn’t sure what He was calling me to do, I was to just keep growing and waiting. Within six months, I had a contract for my first book. By the next conference, the book would be in the hands of the publisher and scheduled for publication. God has used Speak Up and the people I meet there to continue to connect the dots in my life. It’s like a giant, happy family reunion each year. This year was no exception. I again find myself in the “Now what, God?” phase. I walked away inspired, encouraged, and in awe of what He is doing through so many fantastic people across the country. Here are some of my favorite highlights. 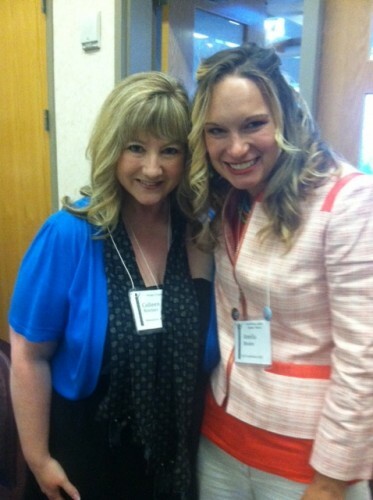 At my first Speak Up Conference, I met Cindy Bultema, and discovered we go to the same church. She’s been a huge encourager to me over the years, and one of the people God has used to connect my dots. When I first met her, she told me about this Bible study she had written called “Red Hot Faith.” For two years I’ve listened to her talk about it, helped her bounce ideas around, and prayed for this Bible study. 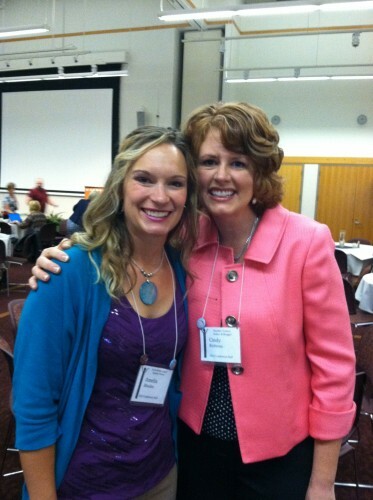 Finally, at the conference, I had the opportunity to hear her teach some of the material during the opening session. WOWZERS! What a powerful Bible study, and how exciting to see how God has connected the dots for Cindy over the past couple years. The Red Hot Faith Bible study will be available Spring 2014 through Discovery House Publishers. You can even pre-order it here. You DON’T want to miss it! It used to be that you’d go to a conference, make new friends, and then write letters to stay in touch. With social media, now we can make friends BEFORE we go to a conference and stay in touch so much more easily after the conference. I first met Colleen on Facebook, months ago, through a mutual friend. Colleen is one of the most beautiful people I know – inside and out. She has an inspiring faith. Trust me, you’ll be hearing more from Colleen in the future. one of my awesome speaker groups! One of my favorite parts of the conference was the opportunity to faciliate a couple of speaker critique groups. I love, love, love these sessions. Not only do I get to meet some incredible people from across the country, I have the privilege of hearing them share their stories and encourage them to keep going. My first conference, I was terrified of the speaker critique times, but it ended up being the most encouraging thing I’ve ever done. It’s such an honor to pay that encouragement forward. God is moving His people across the nation and they are bringing His truth in creative passionate ways! I also had the chance to teach a workshop on social media. The room was packed and we zoomed through a ton of information. I enjoy teaching this class for a variety of reasons, but my favorite is the opportunity to let people know they don’t have to do it all. I point them back to their first love, their calling (which isn’t social media), and then teach them how this can be a tool to support what God has called them to do. It’s so easy to get caught in the social media web frenzy and forget that it’s not the end-all-be-all. There’s so much more to tell! For more photos from the weekend, you can check out my album here on Facebook. If you’re interested in writing or speaking, but you’re not sure how to connect the dots, mark your calendars for the next Speak Up Conference, June 26-28, 2014 at Calvin College in Grand Rapids, Michigan! 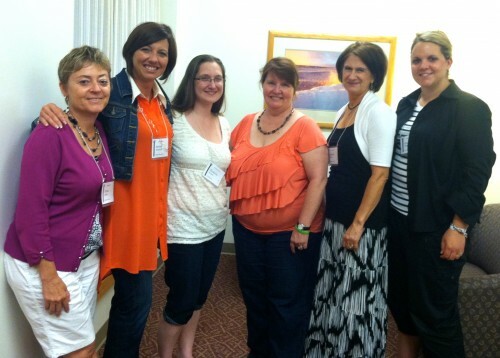 For more great stories about the conference, check out the link up on Cindy Bultema’s blog today! Why you should speak up! Speak Up for Hope – with crayons! Hi Amelia! I’m so happy for you that you are connecting many dots and letting the Lord lead you to so many exciting things! I feel like my dots are still “floating around”, but things will become clearer with time. My mind is still spinning. It was so wonderful to see you in person again and learn and worship and laugh together. It was so great to see you too Myrna! It’s ok that your dots are still floating. Just keep doing the next thing in front of you as God leads. It’s often a good thing that He doesn’t show us the whole line at once! Great post Amelia. Speak Up was so encouraging this year! It was so great to see you again! And I loved your post, JJ! It was so much fun meeting you IRL and I just know that God has so many amazing things for you in the future. Can’t wait to see!! Ditto! So fun to meet you as well. It’s going to be a great year! I put next year’s conference on my calendar! Thanks for letting me know and encouraging me to attend. Peter, yes! You would love it. The workshops are great, and there are opportunities to meet with publishers, editors and agents. It’s just an all-around encouraging time. It was so fun! And encouraging to hear how God is working across the nation! 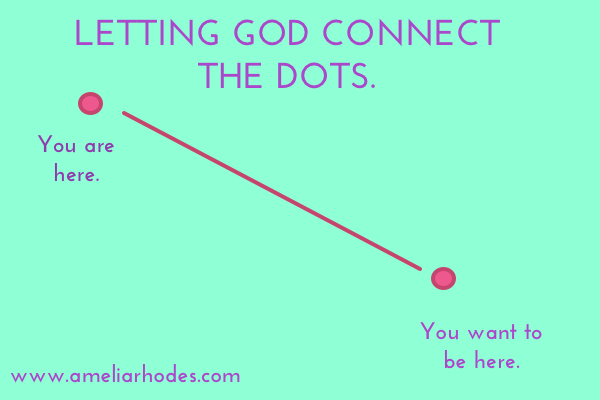 You make such an important point about allowing God to connect the dots. It is a lesson I’ve had to learn multiple times. I’ll get impatient and strike out on my own, only to discover I am deep in the weeds going the wrong way. Conferences are a terrific way to connect in person, especially with those folks with whom we have already connected on social media. I am attending Allume in October, and can’t wait! Next year, a speaking conference is on my list. Thanks for sharing! Kim, I have so done that before! It can be such a struggle to not see the full picture but to trust that God shows us each step of the way and we don’t have to see the whole plan at once. I’ve heard great things about Allume, enjoy! Speak Up would be a great speaker’s conference to consider. Thanks for stopping by!